He made my life immeasurably richer. The Alastor novels, the Demon Princes novels, the Elder Isles trilogy, and the Cadwal Chronicles and the Tschai novels were all magnificent. Thank you sir for your words, your ideas and the worlds you built. I will forever be grateful for what you have given to me. Thanks for sharing your brain with me Jack!!! In Berlin, where I live, is a little English language book store with a whole floor dedicated to sci-fi. I started pulling out books at random and fell in love with the genre. Space Opera, by Mr Vance, caught my eye and I bought it. The lady warned me that it was going to be 'something' and that Mr. Vance's writing was witty and really didn't care about conventional storytelling. She was right. The book is awesome and people should read it. Thank for the book Mr. Vance. If the commandant permits that you may sit, prefer to stand! If he gives you lined paper on which to write, write across the lines! One of my favorite childhood authors, his stories enriched my life. Such a great writer, his books will always be here for us. My favorite author is gone, but his art remains and will grace our planet for centuries to come. Who among us can say the same? A genuine one-off. He enriched my life. So sorry that he's gone. Thank you for opening up new worlds of imagination for me. Your stories were always more than a cut above the rest. Your prose, like liquid copy. I hope your wife and yourself can finally take that long slow trip through the Oikimune and Beyond. The world has lost one of the greatest of all time and one of my personal heros. The visions you've painted with words will live on for all time in the minds and hearts of the readers who adore you. Es gibt wenige Bücher und Erzählungen, die ich mit großer Freude wieder und wieder lese. Und die ich, noch während ich sie wiederlese, im Bewusstsein wiederlese, sie noch einmal wiederlesen zu müssen. Ein Beispiel von vielen aus dem Werk von Jack Vance wäre: The Moon Moth, The Moon Moth und noch einmal - The Moon Moth! Thank you so much for the great time I had reading your books. Thanks to you, I have traveled far and in good company. I first read one of your stories when I was a kid, and even a kid could see it was something unique, special, that was typed in those pages. You'll be missed my friend. Thank you for all your brilliant books and strange and real worlds. My memories of Jack's works are intertwined with memories of my father - who 1st introduced me to The Dying Earth, The Miracle Workers and others. Jack's passing makes me miss him (my father) anew. One of my best friends introduced me to Jack Vance back university. That was thirty years ago and we still swap Vance stories between ourselves. His imagination was unparalleled, the characters rich and colourful. His were the kind of stories that you could re-read a number of times and they would never get stale. Maybe it was take on the human nature, displayed with such dry wit, that keep the stories relevant. Let's hope that he is somewhere out there building a finer universe. I first read Vance only four years ago, when my mother was dying of cancer. I escaped with him to the dying earth, followed Cugel on his wanderings, and read about alien worlds filled with daring wits and strange practices. His humanity, lush imagination, mastery of words and acerbic wit suffused every page. I did not know him, but I miss him. Luckily, he left enough work behind, that I can tarry with him for a long while yet. The world of letters, and the world of men of good will, is the poorer for his passing. Also, remember that Jack was a veteran of WWII: he served in the US Merchant Marine--on the targets. You have been an inspiration to me, I'll never forget the hours spent immersed in your books, thanks from the deepest of the heart to have lit up my life. What a lovely imaginative writer, made so many others look so pedestrian. 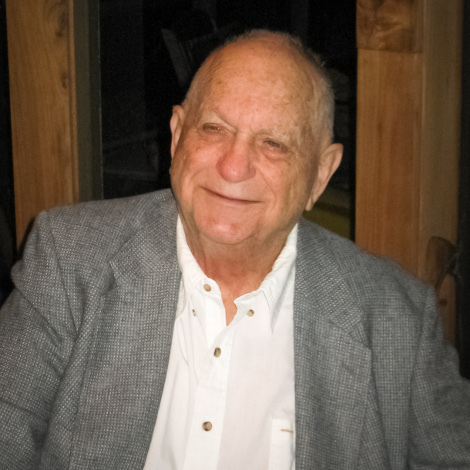 I'm devastated by the dead of Jack Vance, my favorite writer. He was, in his stories, with me for the last 40 years. In these past years he has given me numerous fantastic hours of joy and adventures, and will always be in my memory as a great man. The world of literature has lost a great writer, and in my humble opinion not a person who will easy be forgotten in de decades to come. His legacy of stories and books will do that for him. Jack, I wish you all the rest you so well deserved, and hope You will find your own Thamber, just set a course and follow the brightest star You can find. For sure you made my life a better life. Go and find the pathway of golden glory! Dear Jack, after hearing about you and your stories forever from my father, I finally startet to read your books myself and became just as big a fan of you as he was. Earth will miss you very much, I will re-read your books forever. Have a good journey, love, Naomi. A wonderful force has left this world, and left it a better place than it was when he came in. Thank you, Jack, for improving my life immeasurably through your beautiful imagination and amazing diligence. May you see nothing but perfection with your newly attained Eyes of the Overworld. Jack is the most influential author of my life. He's given me life-long enjoyment, unparalleled. Always am I transfixed by the places & persons from his brilliant imagination, truly a genius. His passing is a World Loss. Jack was great with words. He amused me and gave me love to te SF-genre. Thank you for all the hours of reading pleasure. first authors I read and I've kept re-reading them, first in Italian and then in the original English. His way of writing was original and unique. I've always valued his books and looked for them. Merci pour tout maître Vance, bon voyage! There will never be his equal; the world is diminished. In the 1980s my wife, Kitty, and I lived across the canyon from Jack, his wife Norma, and their son John, on the other side of Thornhill, on the opposite ridge. We met Jack as a result of a party held at a friend's house. Science fiction writer and attorney David Alexander was at the party, and he mentioned that he was trying to set up Jack's computers for him, but since he wasn't an expert he was looking for some help. Since Jack was one of my all time favorite writers I readily agreed to help him, and met Jack and his family a few days later. We all got to be good friends, but drifted apart after the Oakland hills fire. The fire stopped at the base of the hill, right at Thornhill - we all got lucky that day, but we had to move when the house we were renting got sold out from under us. At the time I met him, he had almost stopped writing, as he could no longer see well enough. Jack had a pair of CP/M machines, one in his basement den that he used for writning and one upstairs that Norma used for editing. I set up the one in the basement to use a 23" black and white monitor, using a Processor Technology VDM-1 with a 16 line by 64 character display. It put the characters up on the screen in letters large enough that he could read them. He had a video magnifier that he used to read correspondence, so I set up a switch between the computer and the video magnifier so he only had one monitor to deal with. I also set up a simple file transfer scheme so that files could easily be transferred between the two CP/M machines. Jack had a great love for Dixieland Jazz, and was a fine banjo player. I built him a stereo LED VU meter from scratch for his home recorings - Each of the channels had a 6" high display, with 1/4" high by 1" wide LED segments that he could easily see. I've always considered it a great honor to be able to give him the tools he needed to get back to his writing and music. I miss him. Rest in peace, Jack. One day my father came to me, I was 11 and was bored. He told me: read this! And gave me "The Dirdir". My library, 24 years later, is Vance-made. J.H Vance is now beyond the stars. Jack has accompanied me throughout all of my youth and is still with me today. Memories of Cugel, Rialto and many other characters, worlds and wonderful cultures will stay with me forever. Long live the works of this great "raconteur"
I've never heard of or read any of Mr. Vance's work but I am an avid sci-fi lover. I shall indeed educate myself on this obviously accomplished, loved and respected individual.. I will read Jack Vance's books for as long as I am able to read. The worlds he conjured up have helped me to cope with the world I live in for more than 30 years. He gave me places to retreat to, to fantasize about. I only knew Jack through his work, but I had the privilege of working with his son to produce one of his stories for the StarShipSofa podcast ("The Moon Moth"). The Eye of The Overworld opened my eyes as well what SFF literature can achieve. I reread the whole saga time and time again. You are still my hero! Milton Wolf said during a talk about Vance that he vetted possible girlfriends by getting them to read Vance. Tom Shippey immediately reminisced about a buxom and attractive girl he dated who didn't like Vance. "She had to go," Shippey said with a regretful headshake. I raised a hand from the audience and admitted I'd immediately given my wife-to-be the Ace Double of The Last Castle and The Dragon Masters, and was relieved to find she loved both stories. We're still married, happy, etc. I started with Tschai in the 80's and was forever hooked. Jack carefully guided me into the world of Science Fiction and Fantasy and I have never left. He will always be my favorite author and I will cherish his books. May his work be available for generations to come! The most underrated author in his home country. I first read Jack Vance in the late '60s--"The Last Castle" I believe. This started a multi-decade love affair with SF. In recent years, I've started culling my book collection, but I will NEVER part with my 30-odd volumes of Vance's wonderful prose. Thank you for your genius. As a kid, reading your work, you inspired me to become a writer myself. Thank you. Au-revoir, Monsieur Vance. You will be missed. Jack Vance était un des plus grands écrivains de SF jamais publiés, et de surcroît un très bon auteur de romans policiers. Ne s'étant pas trop risqué dans la "Hard science" sans pour autant chercher à la battre en brèche au péril de l'incohérence (la technologie, dans ses univers, était une donnée acquise mais non abordée, ou alors pour les besoins du récit), il était un formidable extrapolateur en matière de singularité des sociétés humaines. Avec lui, l'altérité la plus flagrante se trouvait parfois chez nos semblables du lointain. J'ai toujours déploré son opinion sur Star Trek, même si je comprends son point de vue, et l'eusse sans doute partagé si cet univers s'était résumé aux affreux pots-pourris récemment mis sur le marché par J.J. Abrams. Mais vraisemblablement n'avait-il pas pris connaissance des formidables développements de la licence - en plein respect de la charte originelle - sous l'égide d'un Rick Berman aussi inspiré qu'enclin à laisser s'exprimer des talents comme ceux de Ronald D. Moore ou Brannon Braga, pour n'en citer que deux. Puissions-nous avoir droit un jour à un beau tirage de la "Vance Integral Edition" en langue française (avec, notamment, certaines excellentes traductions d'Arlette Rosenblum), ou à tout le moins une reparution en anglais. Toute ma gratitude, M. Vance, pour ces trente ans de bonheur à vous lire. Au plaisir de vous retrouver, en une autre vie, aux confins de l'Oecumène. I have read all your work over and over again for the past forty years and it always kept me thrilled. The love for your adventure tales has been passed to the next generation. Thank you so much for the unique work you have left us. I salute you, my dear friend. May you rest in peace. Jack Vance's writings have brought me great joy over many years and I am terribly sad to hear of his passing. I often have passed the Moon Moth on to friends to show them real creativity in the genre, and I has been my pleasure to own his collected bound works for many years. We will all miss his unique voice. One of the very few writers who I enjoy re-reading as much now I am in my 50s as I did when I was a teenager. Thanks for all those battered old paperbacks with the terrible covers that have filled so many hundreds of hours of my life and will continue to do so as long as I still can read. Rest in Peace Jack, thanks for the stories.